This is the second of two resin kits that have been mastered by Sean Hooper of South Wales MAFVA. 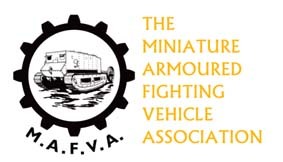 It was originally one of his own range of kits that he has kindly donated to the MAFVA Shop to help set it up. The Bedford OXD was used by the Army, Air Force, and Navy during WWII, and in fact a small number carried on in use by the Army into the 1950s and maybe a few even later. The price includes packing and first class post in the UK for a single item.